How Much Does it Cost To Fix Up a Mercedes-Benz? It’s true that restoring old cars can be a labor of love. Restoring an old Mercedes, though, is a labor of absolute obsession. 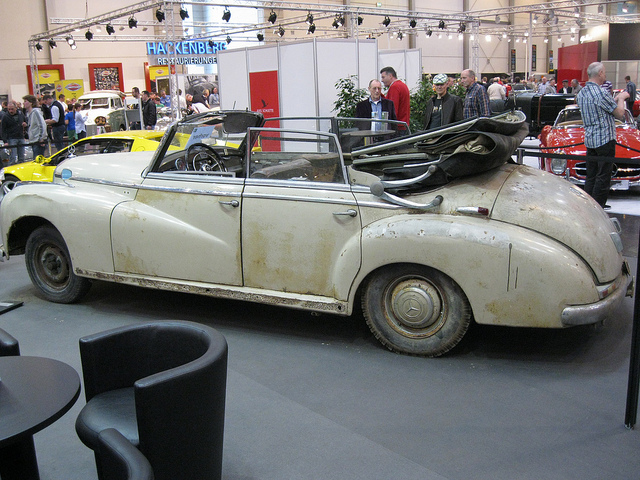 People love restoring old Mercedes models. There’s no car company that recognizes itself as a restoration favorite quite like Mercedes-Benz does; they actually give out a High Mileage Award to owners of cars that have gone beyond certain mileage milestones (some of their vehicles have even gone beyond the million-mile mark). At the same time, often, those looking to restore a Mercedes project cost estimates to be in the high thousands to hundreds of thousands. So if you’ve come across a gorgeous and authentic piece of junk, how much can you expect to spend? A typical Mercedes or restoration mechanic will charge on average $75 per hour. Often, the time invested can be 500-2,000 man hours by either you or your mechanic. This depends on the extent of the restoration and if you plan to agonize over every single detail. Getting rid of rust and replating can be the most costly part of the process. If your car needs this, add about $10,000-15,000 to your equation. On average, a new paint job can be approximately $3,000-5,000. Also, add how much you spent on the car to begin with to your calculations. Getting OEM parts for old Mercedes models will likely cost more if you go through a shop than, say, an online provider like PartsGeek. If you need quite a few accessories or vital parts such as an entire engine, expect to pay quite a bit more. Some restorers have taken to buying multiple used models and combining parts because of the high prices. Overall, an owner can spend anywhere from $40,000 to six-figure sums on their restoration Mercedes project. Cost aside, would it be worth it? That also depends. If the car is a family heirloom or a treasured project, money might not even be an object. There are a few things you should keep in mind while going about your restoration, though. Customized pieces with updated features, like air conditioning or updated upholstery, and elaborately made replicas are almost never worth as much as a restored car that resembles what it looked like when it drove off the lot. In the classic car industry, replicas and customizations are frowned upon. Other brands, like Ferrari, have taken to actually certifying old models while checking for discrepancies because it’s become such an issue. Even the pristine, 100% authentic pieces at the Mercedes-Benz Classic Center in Irvine, CA, can go for as little as $25,000; however, many of the vehicles there can go for six figures. That being said, many enthusiasts have gotten anywhere between $100,000 and half a million dollars for their Mercedes project. Cost estimates can give you a better idea of whether or not it’s worth it. Create an estimated budget for your project and consider your absolute maximum. Also, have an auctioneer or someone within the car industry give you an estimate of what you might expect to get for the completed vehicle. Lastly, you might also want to restrict your time; give yourself an imagined deadline before you buy your used car. 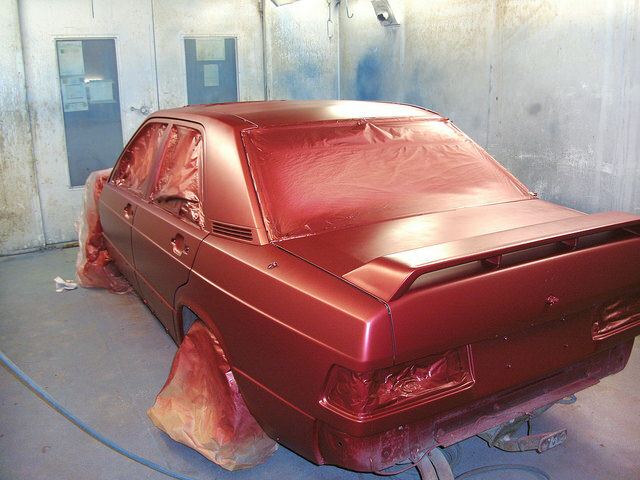 ← Restoration Versus Customization: What Do You Want From Your Car Project?